Here are some pics of my latest soap adventures that I still haven't had time to write about. 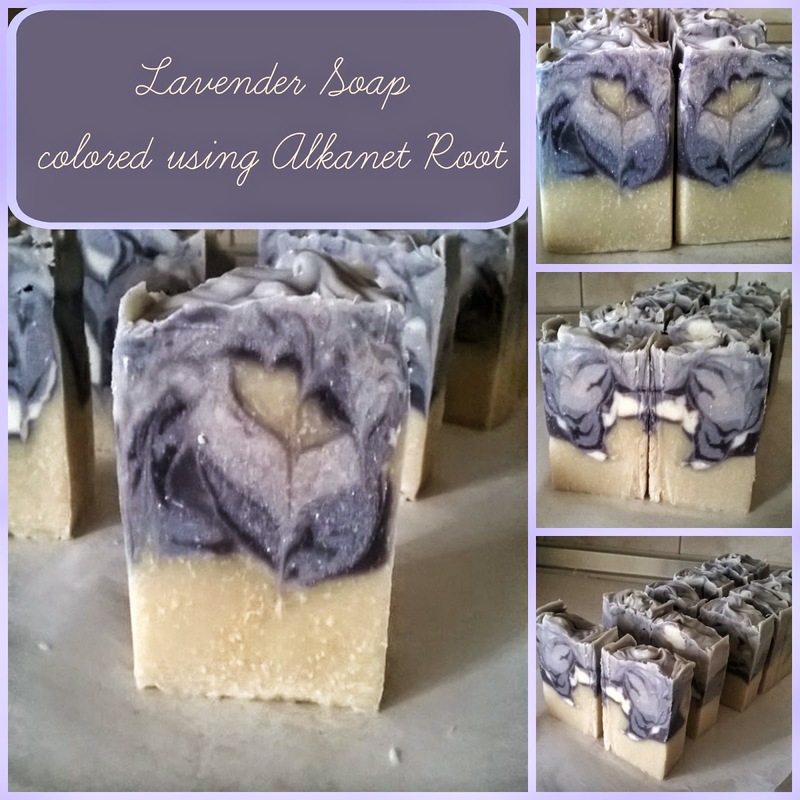 Coloring soaps using Alkanet root is definitely something worth writing about and I intend to explore this more. I've already experimented with different alkanet oil infusions and got some interesting results that vary among light green to dark purple, but more about it in some future post. 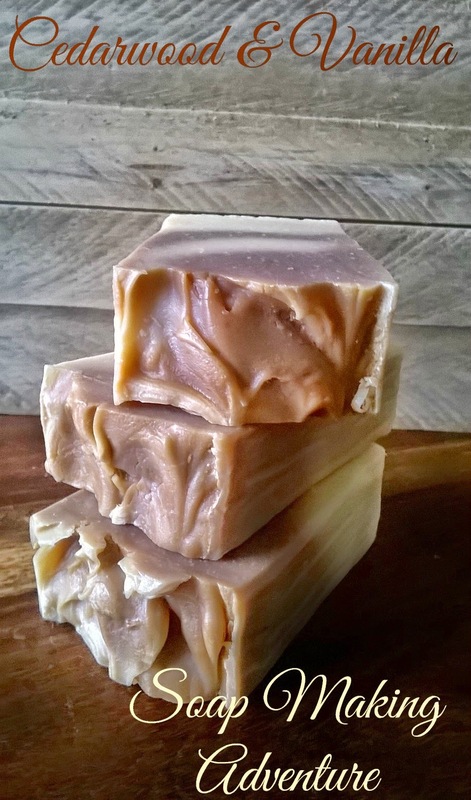 This particular soap was named "Lavender Crocus" by my friend Carolyne because of some interesting swirls that resulted in something resembling Crocus flower in her opinion. It was colored with Alkanet root infused in Almond oil and TiO2. More about it later. 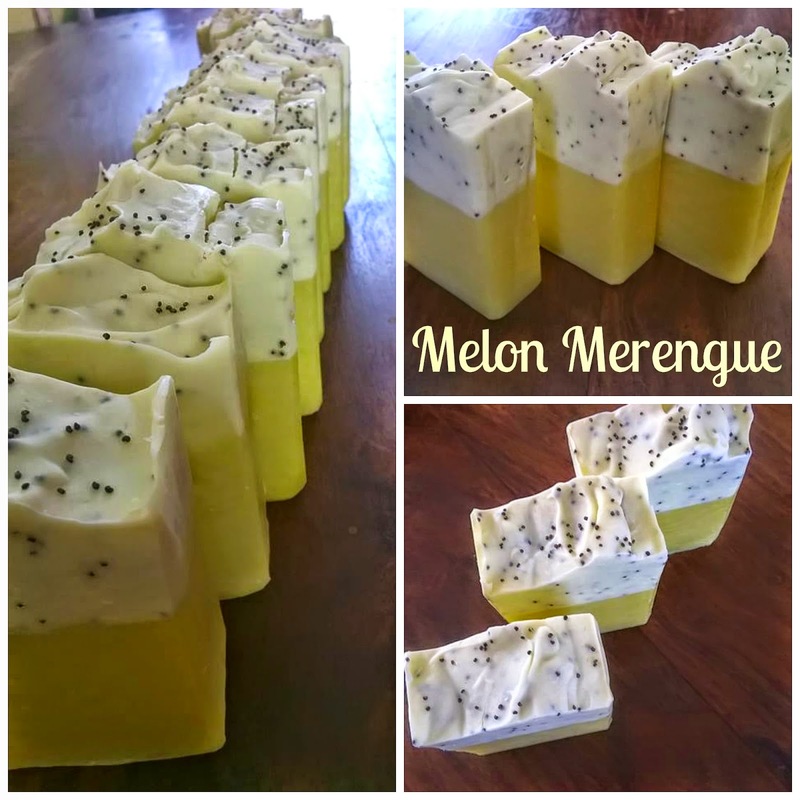 This soap was inspired by Lemon Poppy Seed soap by Soap Queen, except instead of using Lemon fragrance for this project, I've used Silk Melon Fragrance and Spearmint EO. My friends said it reminds them of Lemon Merengue and we ended up calling it Melon Merengue. The bottom half is colored with just a few drops of Carrot infused Olive oil and I added TiO2 to the upper half. The final touch were poppy seeds which I added for exfoliation as well as esthetic reasons. This was a very small batch of Coffee and Vanilla soap. I made a strong coffee, which I drained and poured in ice cubes tray to be frozen. This I used to dissolve NaOH (half of the water). Darker part is colored by Vanilla fragrance. The soap smells kinda like Buttermilk Caramel. 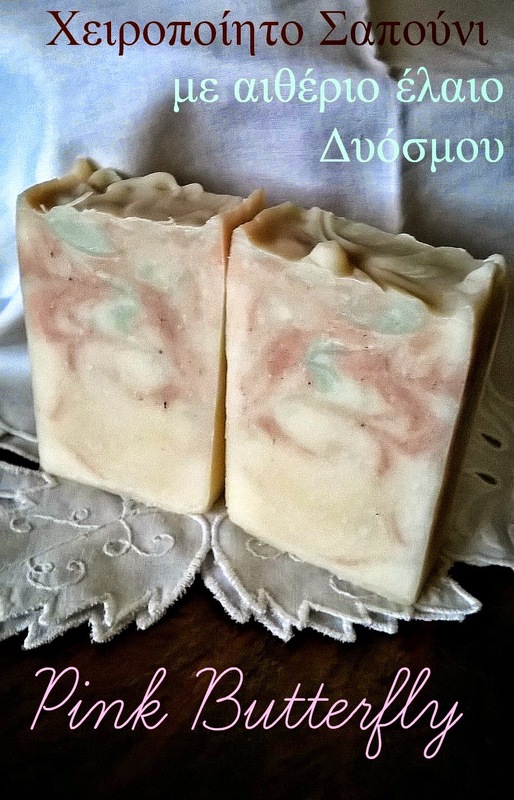 Winter Rose is another soap where I used Alkanet Root for color and some embeds from another soap (Rose Mastic with Pink French Clay) which I had to rebatch and didn't like the final result. I used the potato peeler to shave the soap into stripes, which I rolled a bit with my fingers and carefully placed in the mold after pouring one thin layer of soap first. I was aiming for the frozen rose look, but I'm not really happy with the result. It could have been better. The Embeds are fragranced with Mastic EO and Rose PO and the rest of the soap is fragranced with Lavendin EO. 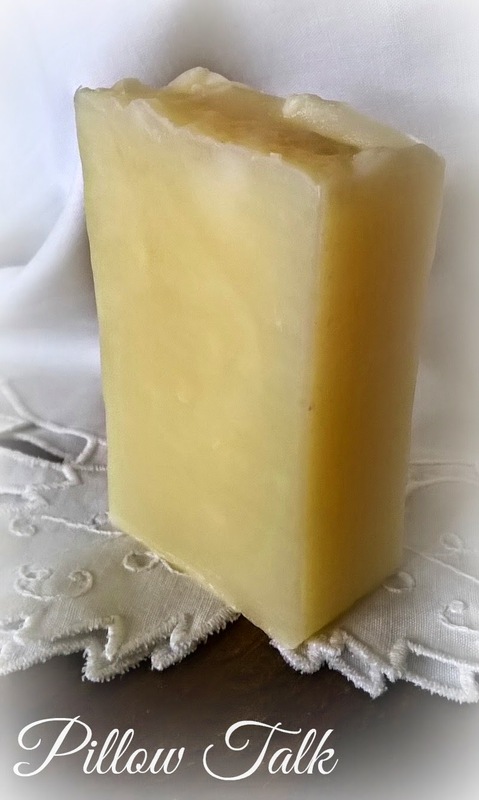 This is an unscented soap made from 70% Olive oil pomace, 25% Coconut oil and 5% Shea butter. I used 2:1 Water:NaOH ratio and 5% lye discount. Got myself a really hard bar of soap that bubbles nicely. After a while color turned white. Wonderful sweet and woodsy smell that can be equally suitable for women and men. Made with Olive oil, Palm oil, Coconut oil, Shea butter and Castor oil. Creamy and conditioning. 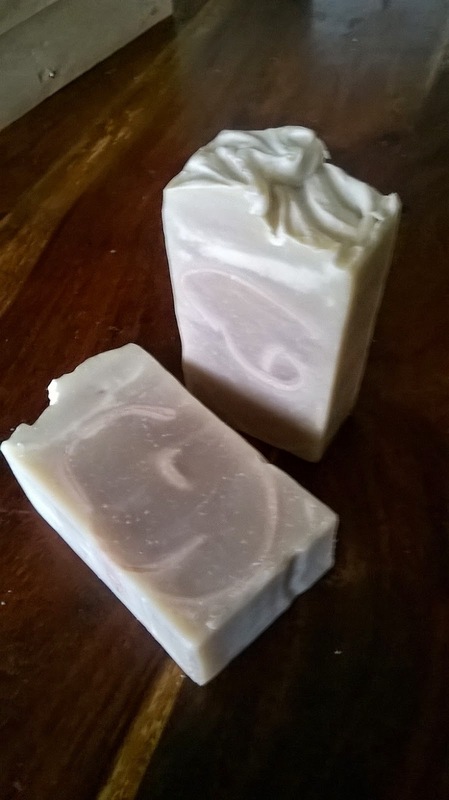 This is my most recent soap, made just a couple of days ago. I used lard for this one too, even more this time. 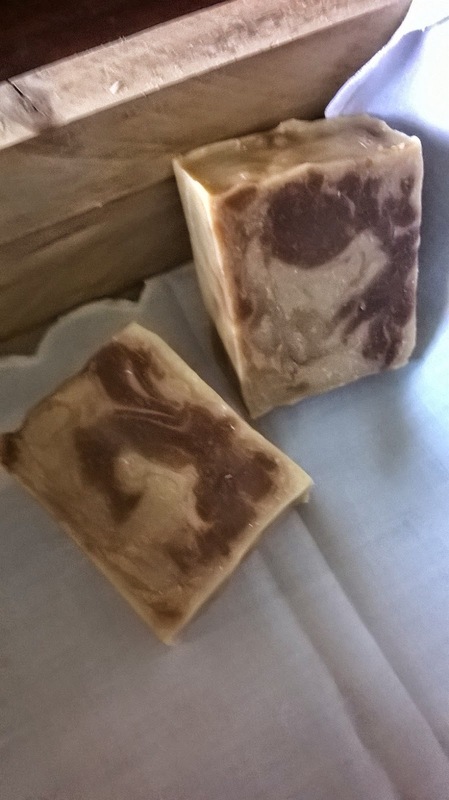 The recipe is 40% Lard, 30% Palm Kernel oil, 20% Canola oil, 5% Shea butter and 5% Castor oil. 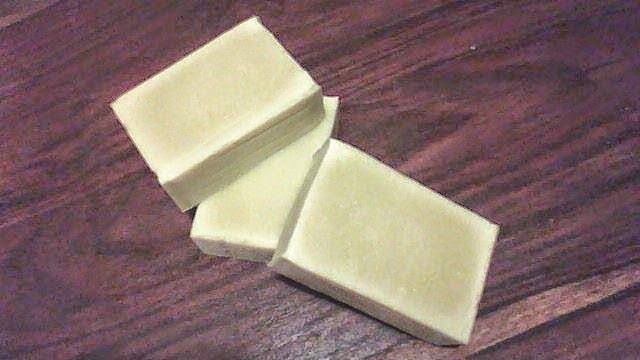 These oils give a creamy white bar of soap (it doesn't show well in the photo). Fragranced with my favourite Spearmint EO. I used just a small pinch of Pink French clay for the pink color and a drop of green pigment for the green. This was my first attempt at Butterfly Swirl and I think I got the moves right and I'm happy with the result, but next time I will use more contrasting colors. These colors were very gentle and light. That's all for now. 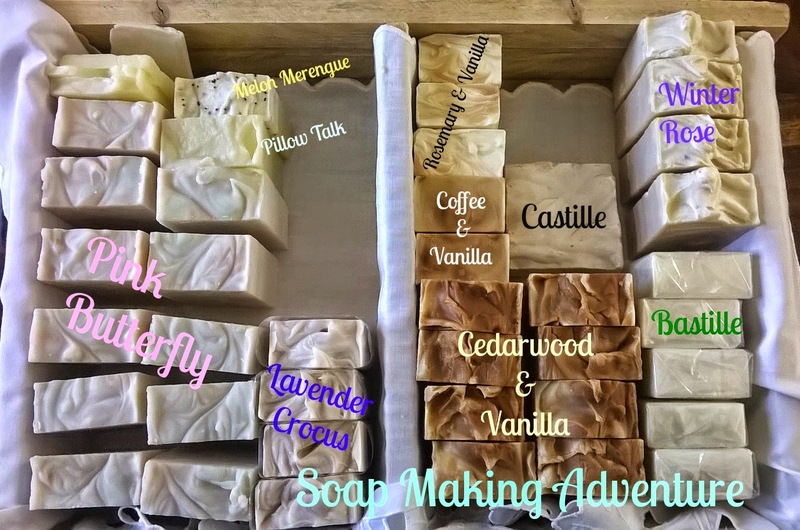 I hope I didn't bore you to death with a post full of paragraphs starting with "This...", but I figure it was long due to post some soap projects from last year and finish with the most recent. Ana, svi do poslednjeg primerka su savršeni, zanimljivi i lepi! Hvala Daro. Kad dolazi od majstora kao sto si ti, zaista sam polaskana. Thank you so much Anne Marie, you are such an inspiration and a great source for everything regarding soap making.